Antiochus X was king of the Seleucid Empire from 95-92 BC, alongside a number of other claimants to the throne. 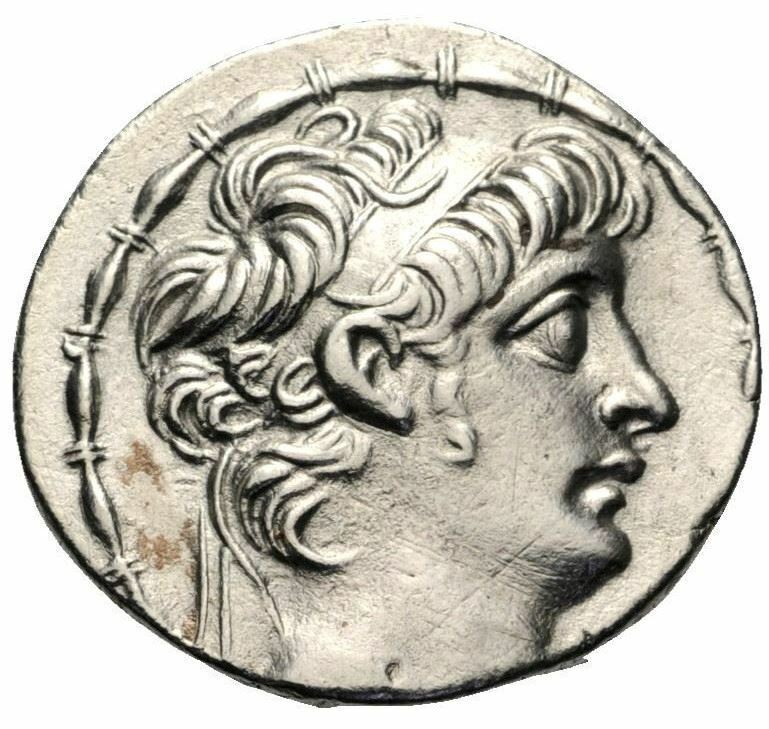 Beginning his reign in 95 BC, his first achievement was to defeat his double half-cousin/second cousin Seleucus VI Epiphanes, and avenging the recent death of his father Antiochus IX Cyzicenus. After that, he ruled Antioch and its surroundings, fighting endlessly against the four brothers of Seleucus VI, the Nabataeans and the Parthian Empire. The date of his downfall is uncertain; Josephus reckons he was killed around 90 BC fighting the Parthians - and his possession of Antioch was certainly lost to Philip I Philadelphus around then - whereas for instance Appian speaks of him being defeated when the Armenian king Tigranes invaded Syria by 83 BC, but in that case his actions in the meantimeare unknown.